Treat yourself to Pure Fiji body care products which bring you the best of ancient traditions combined with advanced technology. Take a look at their line of botanically inspired products at Séchoir. Pure Fiji brings you the best of these ancient traditions combined with advanced technology for today's natural body care. 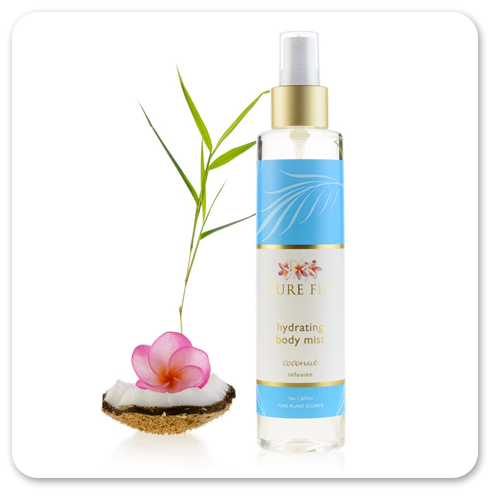 Untouched tropical flora and the warm Pacific Ocean offer up exotic drift nut oils and powerful plant actives. Sugar cane, pineapple, papaya, passionflower and green coconut are freshly harvested and processed within hours to preserve their fresh bounty of naturally occurring nutrients.